Summer vacation going on and demands of my kids are going on higher side. 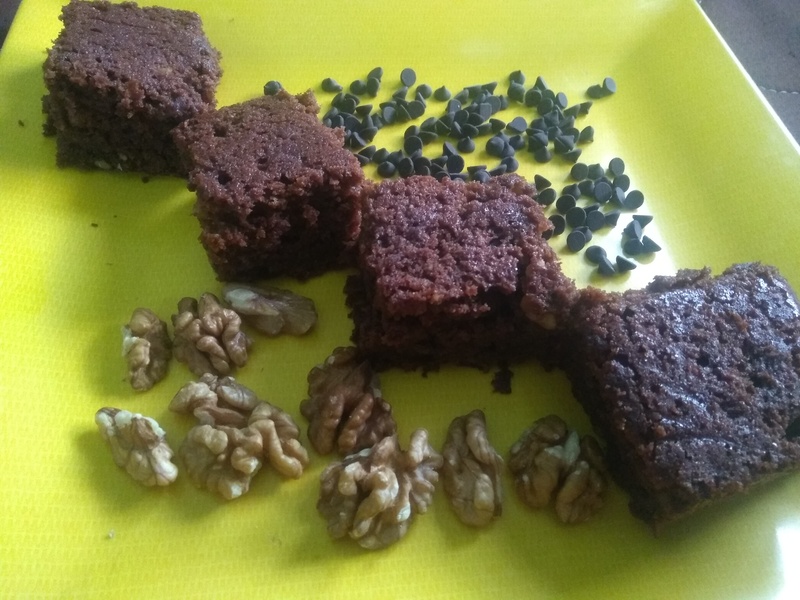 Muffins,cake and brownie is sinful desserts my kids and hubby love and I bake because I love them. 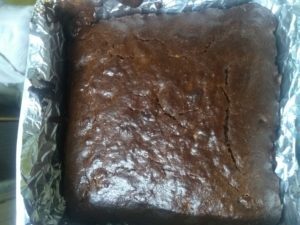 I never know about brownie unless my friend took me to KFC and bought me brownie with icecream as I already mention I am not cake,muffins lover but brownie with icecream developed my taste-bud for brownie. 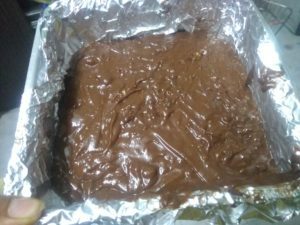 Homemade Eggless chocolate brownie who do not want to indulge in it and so easy to make. why to wait more lets began with recipe. 2.Line an 8X8 inch baking dish with parchment paper or aluminium foil, and brush all sides with oil. 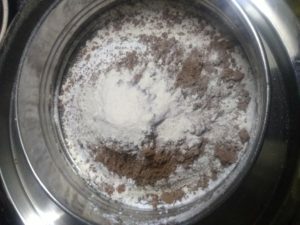 3.Sift flour, salt, baking powder,sugar and cocoa powder in a bowl . 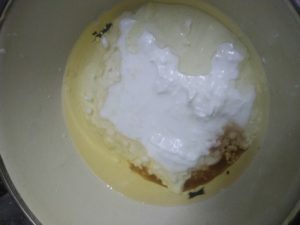 I always shift the dry mixture three times so it is completely mixed. 4. In another bowl, add oil, yogurt, milk and vanilla extract. Whisk until combined well. 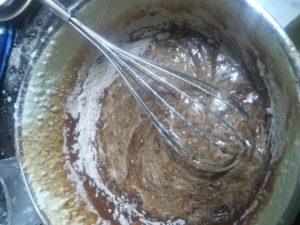 5.Add the flour mixture to the liquid mixture but in batches and mix till just combined. The mixture will be on the thicker side. 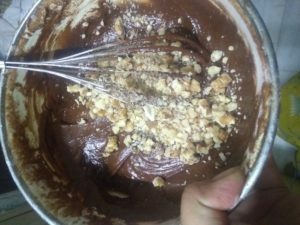 6.Crush walnut and mix pinch pf flour so that walnut does not sink in bottom of cake and now fold in the walnuts. 7.Pour into the prepared baking pan and bake for 35 minutes. 8.Cool the brownies in the pan completely before inverting them onto a metal rack. 9.Cut into slices and serve. Sorry guys I cant resist and have a bite . It is super soft and yummy. You should try it out and do let me know how it turn out? Did you like it? coming up with more such yummy recipes soon.